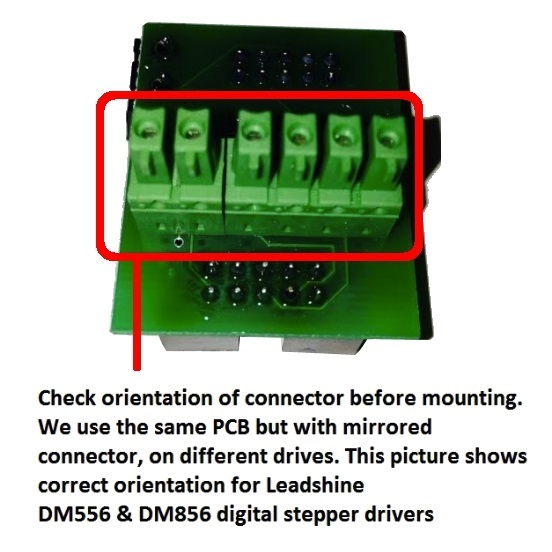 Driver compatibility PCB DM556 & DM856 | DamenCNC B.V.
USBCNC CPU V3 V4 and V5B use 10 pole ribbon cable (flat cable) to make connections to the stepper drives or servo drives. This PCB reduces the need to manually wire and solder the connections. All that is needed is a 10 pole ribbon cable between the USBCNC CPU and the Stepper drives. 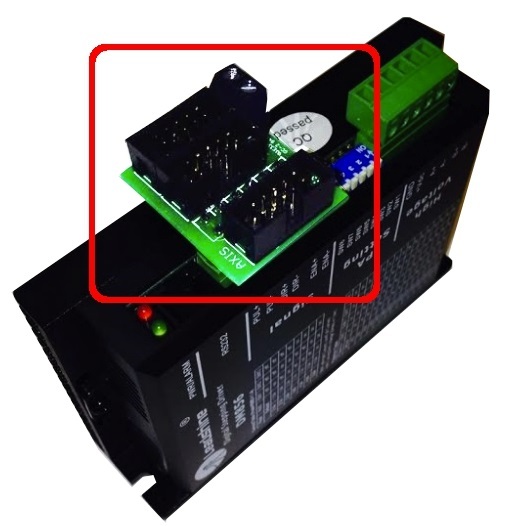 It will save you a lot of time and headache during wiring of your CNC controller. Note for CPU5A this system will only work if you buy the additional DamenCNC interface, the standard CPU5A uses an SUB-D connector. It is also possible to connect the fault feedback, when the drive is in error. This only works with USBCNC CPU V5 B. The other CPU's don't have the input for it. Keep in mind that this fault feedback is only software driven, so this is not safe enough for CE markings. We recently also made this board available for the DM556 & DM856 driver. Stepper drives are not included in the delivery.